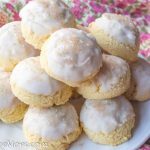 These Low Carb Orange Creamiscles are paleo, keto, sugar free and perfect for a refreshing treat! I know what you’re thinking. 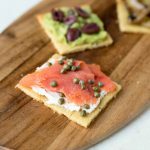 How can orange be keto? But if you think about it a bit more, foods aren’t actually keto. Being keto is when your body is in a state of ketosis. 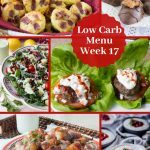 Now some foods can kick you out of ketosis and some foods help your body stay in ketosis. 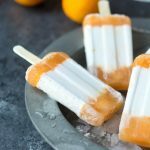 Eating a whole orange would most certainly not work in my favor and would kick me out of ketosis but the very small amount used in this recipe and the amount of popsicles is what is the key here. I have a diabetic friend who can’t eat a whole apple, but she can have a 1/4 of it without it spiking her blood sugar. 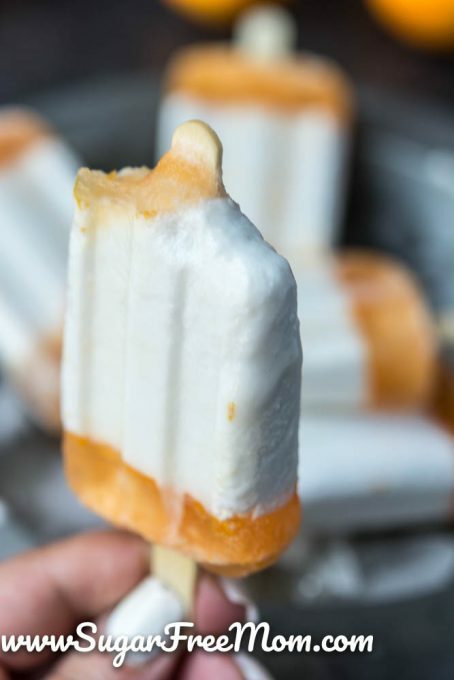 I think often it’s about portion control with the choice of ingredients and these little orange creamsicles don’t even register sugar grams and are just 2 total carbs. Works for me and hopefully it works for you too! 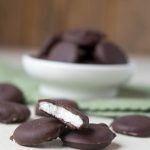 I made these specifically dairy free so my paleo friends and my own daughter in fact could enjoy them. 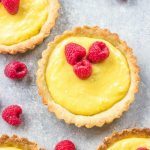 Using a high fat like coconut milk makes these creamy without using dairy. 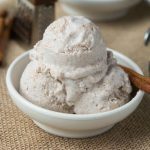 The coconut milk cold certainly be swapped with heavy cream if you prefer. 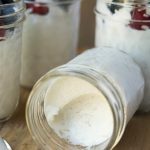 I’ve also got a fabulous Low Carb Coconut Pudding that’s dairy free as well as these scrumptious Mixed Berry Coconut Cream Popsicles. 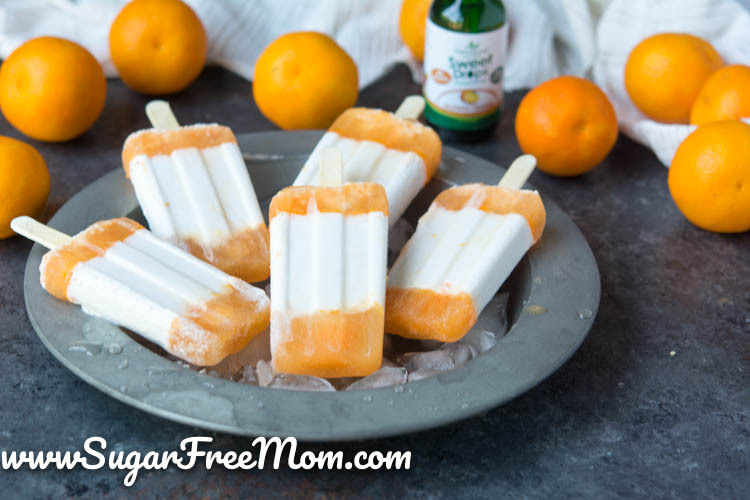 Can’t go wrong when you spend a little time in the kitchen and have 8 perfect popsicles for you and the family ready in the freezer when the hot weather strikes! 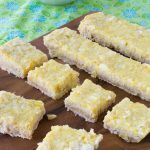 The kids won’t be complaining and won’t even notice they’re sugar free! Place the first 3 ingredients into a blender and blend on high until smooth. Set aside. Whisk the remaining ingredients together in a bowl. 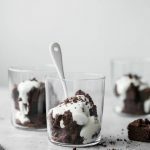 Taste and adjust sweetener if needed and add optional food coloring if desired. 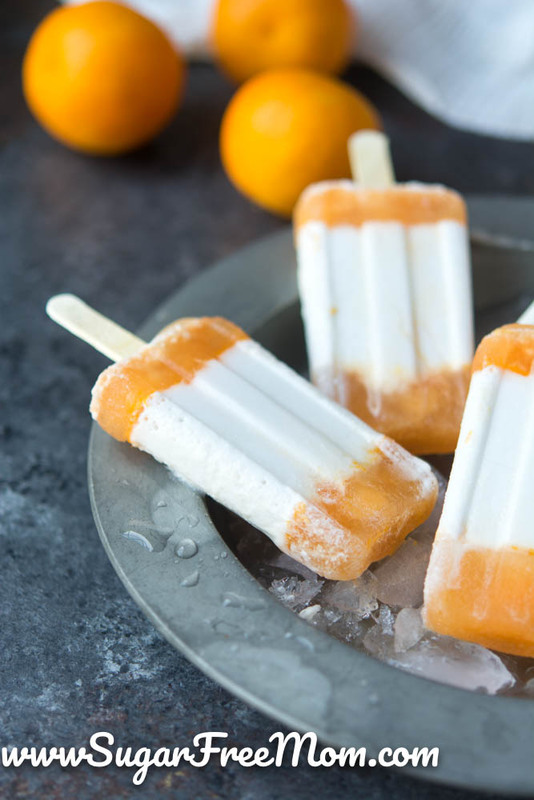 Pour a .5 ounce of orange mixture into 8 popsicle molds. Freeze for 30 minutes. 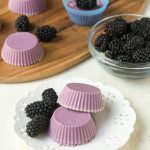 Pour 1.5 ounces of coconut cream into each mold. Insert popsicle stick into molds. Freeze for 30 minutes. I purchased these popsicle molds from Amazon. This post has been sponsored by Sweetleaf Stevia however all opinions are 100% my own and always will be. Thank you for supporting the brands I enjoy working with.